The CPSI Prep Course Bundle includes the CPSI Preparation Course and the CPSI Practice Exam which will help prepare an individual to take the Certified Playground Safety Inspector Examination. 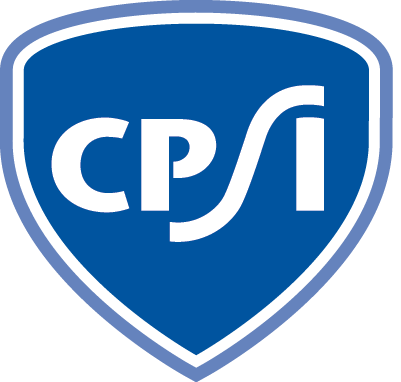 The CPSI Preparation Course includes 8 online modules which will help prepare an individual to take the Certified Playground Safety Inspector Examination. The course provides rich, in-depth analysis of ASTM standards related to playground safety focused on the process of safety inspection from design, through audit and inspection, to maintenance and risk management practices. The course also provides learners with scenarios to apply their understanding of this material. The CPSI Practice Exam is a proven aid in helping to master material covered on the CPSI certification exam and to help you become more familiar with the exam system and testing style. The CPSI Practice Exam should be used as a study tool to help ensure you have a clear understanding of what to expect from the CPSI exam, as well as the content that will be covered on the examination. Utilizing the CPSI Practice Exam significantly improves your chances for success of the actual CPSI Exam. Once registered, you will have access to the course for 180 days. The course is worth 1.2 CEU upon completion of all course components. 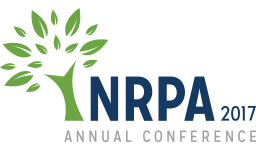 Hear the results of the newly released Economic Impact of Parks study conducted by the Center for Regional Analysis for NRPA. The presenters will highlight economic activity and job creations resulting from the operations and capital spending of America’s local park and recreation agencies, including a review of the states where activity is the greatest. Further discussion will center on the additional ways that parks and recreation drives economic activity and how parks and recreation professionals and advocates can use these findings to support greater and more stable funding for their agencies. 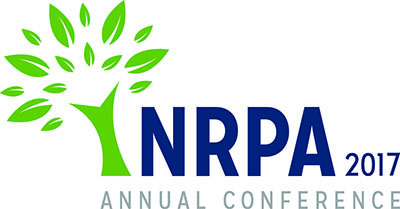 Kevin A. Roth is NRPA's Vice President of Professional Development, Research and Technology. Kevin leads the research team in its mission to create valuable data and metrics that enhance park and recreation agency performance and make the case for increased and more stable agency funding. Kevin also guides the development of innovative in-person and online educational offerings for professionals that advance parks and recreation in their communities. He also oversees the team delivering IT and web services to the association. Kevin has served in research and leadership functions in the nonprofit association space for more than two decades, including overseeing both research and IT at the Association for Financial Professionals for 13 years and conducting survey research at the National Association of Realtors for four years. Kevin has a Ph.D. in Economics from George Washington University and a BA in Economics from St. Mary’s College of Maryland. Terry L. Clower is Northern Virginia Chair and Professor of Public Policy at George Mason University. He is also director of GMU’s Center for Regional Analysis. The Center provides economic and public policy research services to sponsors in the private, non-profit and public sectors. Prior to joining GMU, he was director for the Center for Economic Development and Research at the University of North Texas. Dr. Clower also spent 10 years employed in private industry in logistics and transportation management positions. Dr. White is the Deputy Director of the Center for Regional Analysis at George Mason University. Dr. White joined the Center in January 2016. He is currently serving as project lead on the creation of the Economic Growth and Diversification Plan for Region 7 (NOVA) in the GO Virginia initiative. Prior to joining the Center for Regional Analysis, Dr. White was the Vice President for Research at the Center for Regional Economic Competitiveness (CREC) in Arlington, VA.
During his 11 years at CREC, Dr. White managed a wide variety of economic and workforce development research and technical assistance projects across the United States and Canada. These projects include numerous industry cluster and value-chain analyses in Hawaii, Illinois, North Carolina, and Pennsylvania. He also facilitated economic and workforce development planning initiatives in regions in North Carolina, Iowa, Texas and Ontario. He also supported the Georgia Governor's Office of Workforce Development's Work Ready Regions Initiative for four years by providing labor market information used to inform and shape regional workforce strategies. Dr. White’s training activities include developing and delivering curriculum related to data-driven, strategic planning for the US Economic Development Administration and the Economic Developers Council of Ontario. 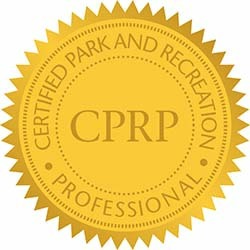 The Certified Park and Recreation Professional (CPRP) Preparatory Courses supply professionals with the most effective CPRP certification preparation. The CPRP Online Prep Courses are designed as an intensive review program for professionals seeking the CPRP certification. The CPRP Learning Pack includes the Programming Module, Human Resource Module, Finance Module, Operations Module, Communication module, and the CPRP Practice Exam. Access is valid for 6 months from date of purchase. Access is granted to the consumer only as a limited license and grants that user a non-transferable personal license to access and use the online learning center for the CPRP prep course and its content for personal, non-commercial use only. CPRP: Four Letters; Unlimited Possibilities. Join us for this webinar to learn first-hand how becoming a CPRP has benefitted so many others in the profession, and to learn some insider tips on how to apply and pass the exam. We will also explain how you can get a free CPRP Prep Course by applying by February 28, 2018. Whether you want to make a bigger impact on your community, keep your expertise fresh, or improve your professional status, becoming a Certified Park and Recreation Professional (CPRP) will open the door to more and better opportunities. Join us for this webinar to learn first-hand how becoming a CPRP has benefitted so many others in the profession, and to learn some insider tips on how to apply and pass the exam. We will also explain how you can get a free CPRP Prep Course by applying by February 28, 2018. Molly Sullivan, is the Certification Manager for the National Recreation and Park Association. In this role Molly provides assistance to professionals who are currently maintaining their professional certification, or seeking to obtain certification. Molly received her Bachelors of Arts in Communications from George Mason University. She has been working for and volunteering with historical and agricultural parks in Northern Virginia for most of her life. Molly currently volunteers as an adult leader for the Hoofers and Heifers 4-H Club, out of Frying Pan Farm Park in Herndon, Virginia, furthering her passion for educating youth and the public about agricultural traditions. Karla Kelley is a distinguished leader with a successful 20 year history of working at the intersection of community needs and assets, programmatic and policy solutions. Karla is the interim Therapeutic Recreation Manager with DC Department of Parks and Recreation and has worked for the department for 2 years. She is responsible for the programmatic, administrative and fiscal oversight of a citywide therapeutic recreation program, She is a Certified Park and Recreation Executive and holds a Masters degree in Recreation, Parks and Tourism Administration from Western Illinois University. Karla's passion has culminated in more than 20 years of professional work experience in the field of youth development, education and recreation management. Karla serves as a member of National Recreation and Parks Scholarship and Award Committee. The CPSI Preparation Course includes 8 online modules which will help prepare an individual to take the Certified Playground Safety Inspector Examination. Join Alise Flanjack, Deputy Director of Lee County Parks and Recreation Department and Earth Networks Meteorologist Steve Prinzivalli, to learn more about why it is critical to monitor lightning and severe weather events. Find out how Lee County Parks and Recreation utilizes an automated weather intelligence solution to keep visitors and staff safe at their facilities. One of the main concerns for park managers and facility operators is visitor and staff safety. One safety issue that cannot be overlooked is severe weather. Prioritizing safety issues can be a challenge especially over large areas because severe weather can be an extreme threat to people enjoying outdoor activities. Did you know two thirds of all lightning deaths in the U.S. are associated with outdoor recreational activities? Among all severe weather events, lightning safety is a top priority for parks in the United States. Alisa has worked for the Lee County Parks and Recreation Department for over 32 years. She started as a Summer Lifeguard and taught swim lessons. After a few summers, she stepped into a leadership role within the Aquatics programs. In this position, she managed a freshwater beach at a large regional park. She also trained lifeguards throughout the county. After supervising a couple of Lee County aquatic facilities, Alise moved into a Program Manager position. Her responsibilities in this position included managing the county aquatic facilities, the Park Ranger unit, and the Pro / Am Sports facilities, which included the two baseball stadiums that host Spring Training for the Minnesota Twins and the Boston Red Sox. In 2009, she transitioned into the Administrative Manager position, where she focused on the department’s Human Resources responsibilities, Safety and Security, contracts and agreements, and liaison with the County Attorney’s office. The Lee County Parks and Recreation Department promoted Alise to Deputy Director in January 2015. Steve Prinzivalli is a Meteorologist and Program Manager at Earth Networks supporting Enterprise clients such as NOAA, NIST, National Grid, partners, and researchers with their weather intelligence and data needs. Prinzivalli joined Earth Networks in February 2008 as a broadcast meteorologist, producing weathercasts for both online and mobile platforms while providing forecast support for clients such as the NFL and MLB. He also leveraged his meteorology skills as a product manager with a heavy focus on enhancing the Earth Networks Total Lightning Network (ENTLN) and its derivative products. Steve holds a B.S. in meteorology from Penn State University. Learn how local government leaders can reduce racial bias through smart policy decisions and strong civic engagement. This webinar will examine how racial tensions have affected cities across the nation. Learn how to shift from a reactive approach to a proactive agenda. Participants will take away concrete steps they can take to advance racial equity and racial healing work in their cities. In the wake of the 2014 unrest in Ferguson, Missouri, the National League of Cities created REAL (Race, Equity And Leadership) to strengthen local leaders’ knowledge and capacity to eliminate racial disparities, heal racial divisions and build more equitable communities. This webinar will provide participants with practical examples of how city leadership can embed racial equity into their priorities. Learn how local government leaders can reduce racial bias through smart policy decisions and strong civic engagement. This webinar will examine how racial tensions have affected cities across the nation. Learn how to shift from a reactive approach to a proactive agenda. Participants will take away concrete steps they can take to advance racial equity and racial healing work in their cities. Leon T. Andrews, Jr. was appointed as the inaugural director for Race, Equity And Leadership (REAL) at the National League of Cities and prior served as the senior fellow and program director at the National League of Cities’ Institute for Youth, Education, and Families, where he led all of the Institute’s youth development work with mayors and other municipal leaders around the country including in areas related to childhood obesity, disconnected youth, youth engagement and leadership, and youth master planning since 2006. Before joining the National League of Cities, Leon completed a research fellowship at The Forum for Youth Investment. Leon has an extensive background working in government, the community, the private sector, and academia for the last 25 years including the United States Department of Justice, United States Senator Barbara A. Mikulski, the United States Public Interest Research Group, the Allegheny County Department of Human Services, YouthBuild Pittsburgh, the Development Corporation of Columbia Heights, PricewaterhouseCoopers, and as an adjunct professor in the Department of Political Science at Eastern Michigan University. He received his Bachelor of Arts in Political Science from Howard University, a Master of Science in Public Policy and Management from Carnegie Mellon University, and is a PhD candidate in the Urban and Regional Planning program at The University of Michigan. Leon is married to an amazing woman, Dr. Kristine M. Andrews, for the last 14 years and they have three beautiful daughters – Jessica Austin, Julia Iris, and Joanna Jonas. Mr. Hendricks serves as the Equity and Inclusion Manager for Portland Parks & Recreation and has over twenty-five years of experience working in the field of diversity development, equity and/or inclusion that spans the private, non-profit and public sectors. His experience includes developing marketing and public participation processes designed to increase the involvement of communities of color in city programs and decision making process and working with key stakeholders to develop policy and culturally specific programs that increase access and improve outcomes for youth and families of color. 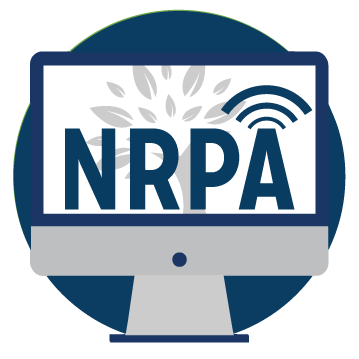 ​This product includes three recorded speed sessions from the 2017 NRPA Annual conference on the topic of Innovation: Future-Proofing Your Organization, Innovation in 19.5 Minutes, and Do We Dare? Sure-Fire Changes for P&R's Future. Future-Proofing Your Organization: Is your agency ready for the future? Technology, energy, globalization, Generation Z, and other forces will change our world drastically — start planning now. This session will provide best practices, resources, learning lessons and tips to form your own internal think tank to research future trends and foster innovative and critical thinking throughout your organization. Innovation in 19.5 Minutes: Park and recreation agencies need to constantly adapt services as a result of changes in market demand, industry trends, new uses of technology, and changes in customer requirements. Embedding innovation within an agency is something that requires purposeful direction in the organization's leadership system, organizational culture, and systems such as recruitment, hiring and feedback systems. The session will also provide details of innovations happening around the country. Do We Dare? Sure-Fire Changes for P&R’s Future: Do we dare to make the types of changes that will catapult parks and recreation into our rapidly changing world? How do we deal with the demands for customization, popularity of virtual reality, the preferences of multiple generations and the permanently unemployed? How do we keep up with or even surpass the challenges posed by these changes? Will parks and recreation as we now know it even exist in 10 years? Let’s revamp our world. Leading Change: Innovation from the Inside Out: Creating and fostering an environment of innovation in the workplace takes strong leaders who listen to staff and embrace ideas. This session focuses on practical methods and examples of leading change by embracing ideas from all levels in your organization. The Be Attitudes of Influence and Persuasion: The wind and the sun decided to have a competition to decide who was stronger. They agreed the winner would be the one who could persuade a man to take off his coat. The wind blew and blew, but the man held on tightly to his coat. Then the sun shone gently down, within minutes, the man took off his coat. The moral: you can’t force someone to do what they don’t want; instead, the art of influence and persuasion will get them to want what you want. This is the essence of true leadership. Ditch Your Marketing Plan: Growth Hack Instead: Scrap your marketing plan and learn how growth hacking techniques from Silicon Valley start-ups, including data analysis, marketing automation, user-experience design and design iteration, can lead to more effective marketing, higher participation and increased revenues, all without breaking the budget. Creating and fostering an environment of innovation in the workplace takes strong leaders who listen to staff and embrace ideas. This session focuses on practical methods and examples of leading change by embracing ideas from all levels in your organization. Elected officials, citizens and staff have higher expectations of your park system than ever before — exceptional programs, customer service, experiences to name a few. With lagging tax revenues and ongoing political pressures to downsize government spending, many park and recreation agencies have chosen to reduce services, eliminate staff, or even close parks and facilities. Cutting services or raising taxes is not the only choice; another option is creating innovative and new ideas to meet the challenges through staff involvement. To meet demands, we must change the way we think, innovate, and lead. Creating and fostering an environment of innovation in the workplace takes strong leaders who listen to staff and embrace ideas. This session focuses on practical methods and examples of leading change by embracing ideas from all levels in your organization. Quantify the benefits and challenges faced by implementing change within the organization. Kurtis Baumgartner, CPRP, is the Director of the Monon Community Center for Carmel Clay Parks & Recreation. Kurtis oversees a $5 million annual operating budget and ensures that the Center remains self-sufficient. According to PROS Consulting, LLC, a nationally recognized consulting firm, the Center’s financial performance ranks in the top 1% of public facilities. At its peak time during the year, Kurtis leads upward to 400 staff providing high level service and sales to members, guests, and the community. After receiving his Bachelor’s degree in Sports Management and Marketing from Goshen College in Indiana, Kurtis pursued his education at Indiana Wesleyan University where he graduated with a Master’s degree in Business Administration.